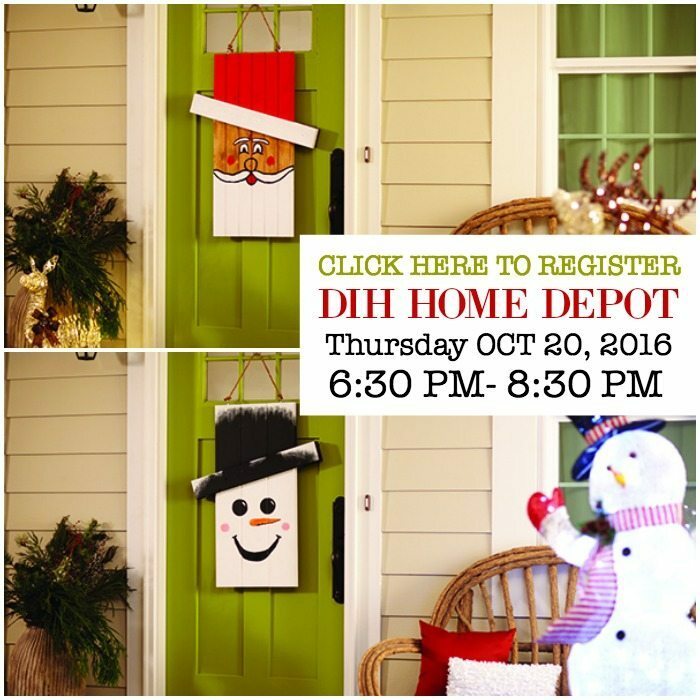 Exciting news, I am joining the fun with a DIH – Do it herself workshop at Home Depot for the Seasonal Character Door Hanger ! Y’all know how much I love decorating my doors. This month’s free workshop is perfect. It’s a reversible idea, perfect for 2 seasons!! You can make one: Register to attend on Thursday, October 20, 2016 – 6:30 pm – 8:00 pm. I’m working on mine and will share it next week! I’ve been tossing ideas around in my head, can’t decide on fall or winter? Maybe I’ll make several. These would make great gifts too! The Home Depot offers three types of workshops at all of their locations for do-it-yourselfers of all ages and experience levels. 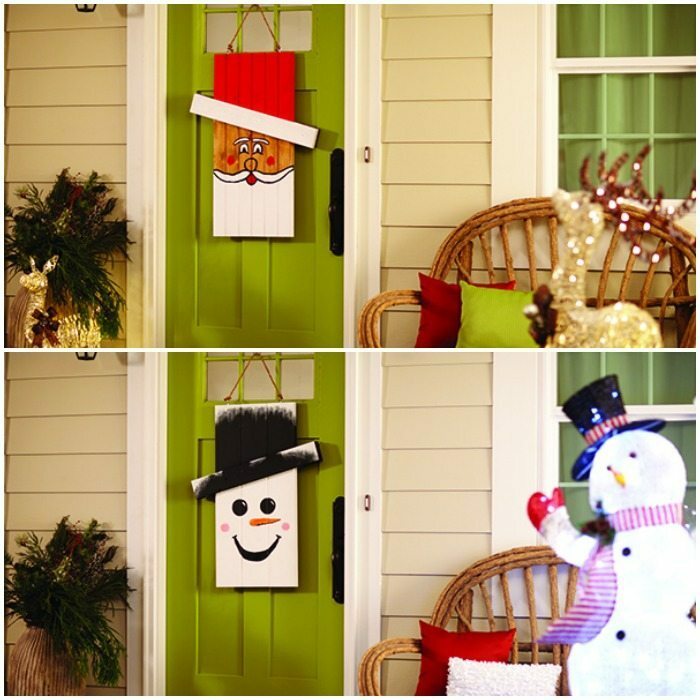 Grab a group of friends and family members and head over to Home Depot, get creative and make your own Character Door Hanger. Fall or Winter – lots of options to get creative! Go ahead, register and save your place: Seasonal Character Door Hanger. I can’t wait to finish mine! Join me on Instagram and share yours, tag it with #DIHWorkshop – looking forward to see what you create! I just signed my husband and myself up for the workshop TONIGHT!!!!!!! We needed a ‘date’ night and this will be a fun start to it!!!! Thanks for the idea! So cute Debbie! I have never done a DIH…. Maybe this week will be my first workshop! These are adorable. Can’t wait to see yours. This door hanger is just adorable and fun to make! I think it looks great and I like the Snowman one! This is so cute Debbie! Can’t wait to see your version!